World War II is well known for being the deadliest war in the history as it resulted in massive casualties. Approximately 60 million were killed in the war. That was about the 3% of the total population of the world back in 1940 which was around 2.3 billion at that time. Different sources report different casualties. According to some sources the total kill count was around 50 million, but some sources also said that almost 80 million people were killed during World War II. 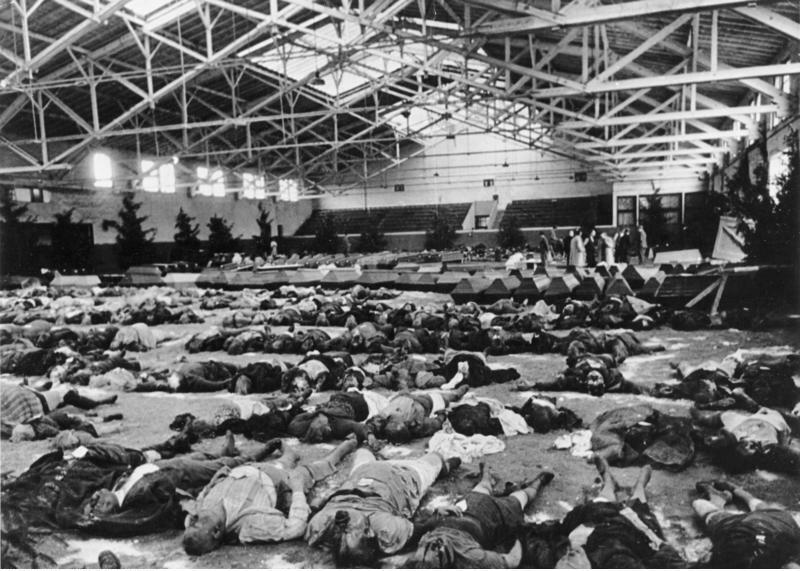 The reported 80 million deaths also include the people who died from diseases and epidemics that broke out from the war. About 5 million prisoners from war died in captivity. 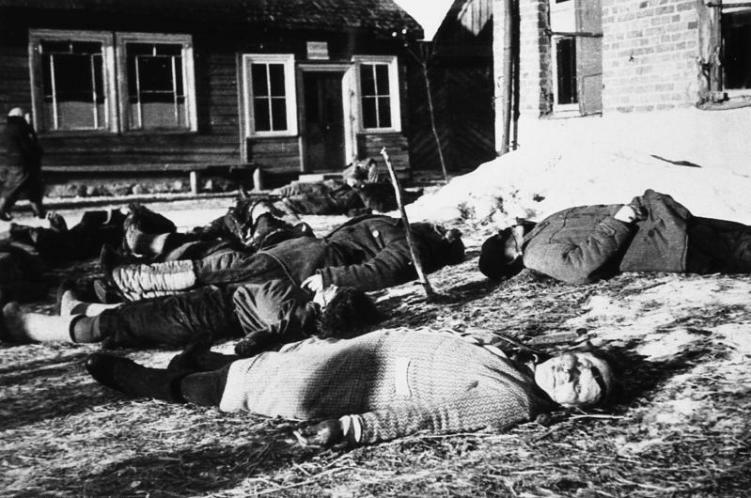 As per the figures by the Russian government, the USSR losses during the period of World War II are around 26.6 million that included around 8.5 million deaths from war-related diseases and famine. The Institute of National Remembrance in Poland stated that around 5.8 million Polish died due to the war-related causes. Military History Research Office in Germany stated that the number of deaths and the people missing from Germany were around 5.3 million. The people’s republic of China that the total number of deaths from China was around 20 million. Japanese have also given an estimated figure of war casualties that is approximately 3.1 million. The classification of casualties from war can be difficult at times as the total count depends upon how you classify them and there have been many conflicts about this subject. Most of the Historians classify the casualties as the number of people who were killed and wounded. As per the authors that composed Oxford Companion to World War II, the casualty stats given are not reliable. There were massive civilian casualties in World War II, and they include the people who died or were misplaces in Holocaust Victims, German war Crimes, population transfers in the Soviet Union, strategic bombing and other Allied War Crimes. Soviet Union suffered the most amount of war casualties than any other country in World War II. So the astonishing fact about the deaths in the Soviet Union is that all the 23 million casualties were the result of the conspiracies of Joseph Stalin. He killed even more men than Adolf Hitler, and he is known to be the biggest killer in the history of humanity. Joseph Stalin caused 43 million deaths, and not all of the deaths were in World War II. The rest of the death count was of Soviet soldiers that were killed in terrible wars against Germany. About 2 million people were killed in the Battle of Stalingrad. The Soviet Union was the one to sign the non-aggression pact with Nazi Germany in 1939 and in addition to this, the pact also included a special protocol that secretly divided the territories Poland, Lithuania, Estonia, Ukraine into Germany and Soviet spheres of influence. The most of the Chinese War casualties were in the Nanjing which was the capital of China in the past. A massacre was performed by Japan, and the Japanese military killed thousands of civilians and unarmed innocent people. They also tortured almost 80,000 people in an inhumane manner. General Yasuji Okamura introduced the Three Alls Policy which had three motives, kill all, burn all and loot all. This policy caused the death of around 3 million people. Due to this mass massacre and the inhumane policies of Japan, almost 80% of the people that were killed were innocent civilians and unarmed citizens. The vicious and voracious attitude of Japan caused the tension of Japan with many other countries for many years. The total casualties of China were no less than 20 million. Germany gets chastised for the World War II, but it is a fact that most of the citizens of Germany were not in favor of War. Germany had to face a lot of casualties in World War II, and most of the military men were killed, and the reason behind that were the aggressive and inhumane policies of Hitler. Out of the total German population, about 300,000 German civilians were killed. Moreover, another 400,000 civilians were killed in the aerial attacks by the Allies. The estimated count of military men was approximately 5.3 million, and about 3.3 million civilians were killed during World War II. The total casualty count was around 8.6 million. According to the official stats, almost 22% of Poland’s population was killed during World War II. Around 3 million Jews were killed in the Holocaust. Poland had the most pre-war Jewish population in the continent of Europe. The Jews residing in the part of Europe that was occupied by Germany were violently killed in the Holocaust. Germany conducted the blitzkriegs in which a major amount of Polish people were killed. 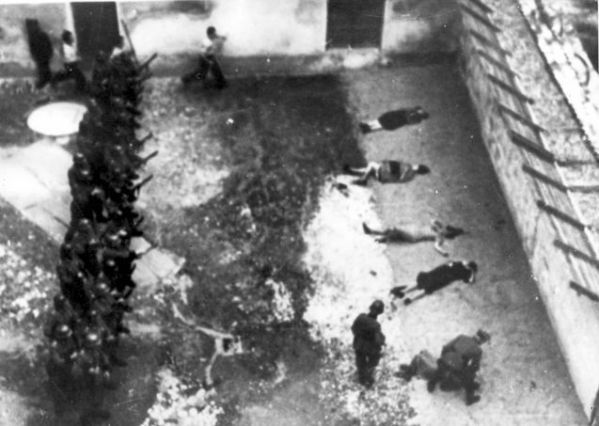 The German forces did a mass massacre as they lined up Polish citizens and killed them. Afterward, when the execution site was explored, almost 20,000 bodies were found. Later, when Poland was liberated back in 1944, and 90% of the total deaths included civilians. While Japan was attacking Indonesia between 1941 and 92, the Royal Dutch Army was quickly outnumbered, and they lost. Most of the Europeans residing in the country were taken as Prisoners of War, and about 25% of them died as they couldn’t survive in the imprisonment. Later the United Nations gave an estimated number according to which 4 million Indonesians starved to death, and they were also forced to labor. The Allies then tried to assist and help them, but they were also taken over soon by Japanese in the Battles of Java Sea, second Java Sea and Sunda Strait. Japan didn’t leave the Dutch rule, and due to their efforts in the independence movement, Indonesia officially emerged as a country on the map of the world in 1949. Japan was responsible for killing a massive amount of the civilians and military personnel. On the basis of the Three Alls policy, a large number of people were killed. On the other hand, Japan wasn’t also safe. A large number of Japanese were killed in the bombings. The U.S dropped an Atomic Bomb on Hiroshima and Nagasaki. United States is the only country in the world that has made use of Nuclear Warheads in the bombings of Hiroshima and Nagasaki during World War II. Research and testing of nuclear weapons were on the peak during the World War the Cold War. The total death count was around 2.7 million including the civilian and military casualties. 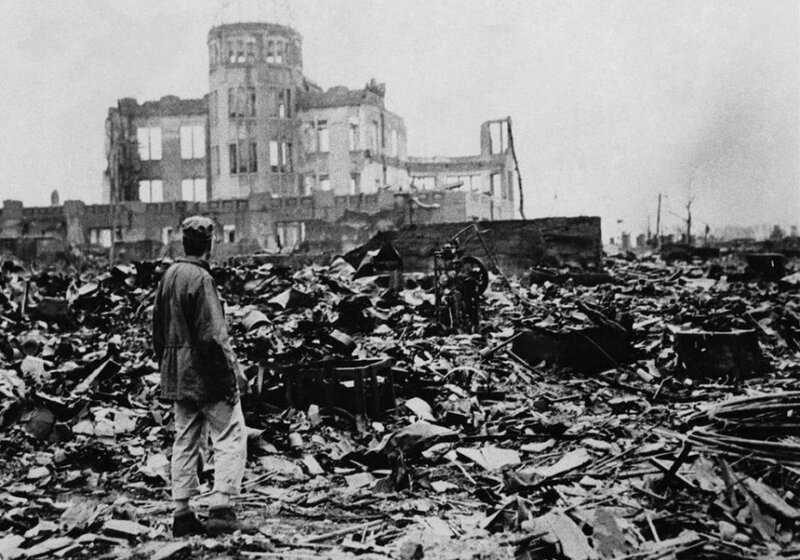 The cities of Hiroshima and Nagasaki didn’t only face a large number of instant deaths due to the bombings, but they still have to face some difficulties due to the post effects of atomic bombs. Many newborn babies still have birth defects, and many suffer from cancer. India was another country to get independent after World War II, and it officially declared war against Nazi Germany back in 1939. It was basically a part of Allies because back when India was a part of Britain and almost 2 million troops, were sent over to fight with the enemies. 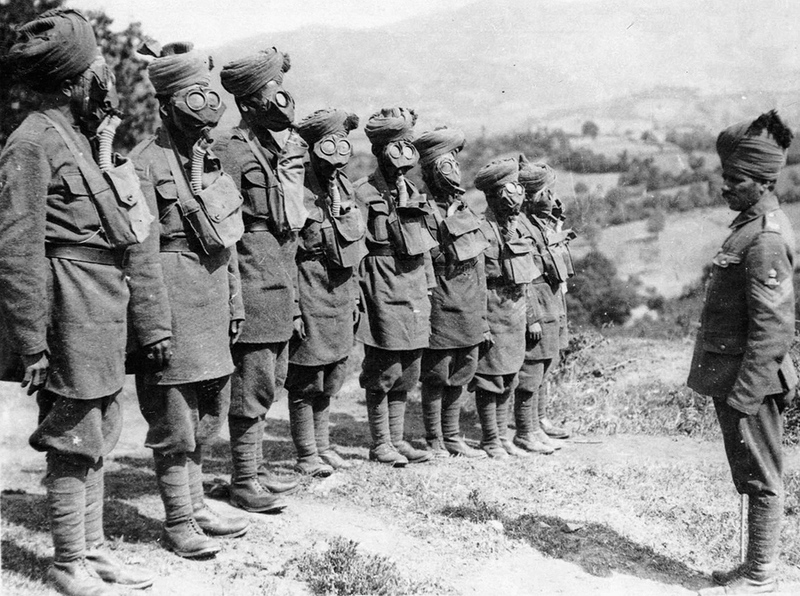 Indians were led by Mahatma Gandhi, and they thought that Britain’s war for freedom was basically for their own good and they didn’t offer liberty to the Indians. But still, India remained an important part of the Allies, and they aided them financially and also assisted them with military and industrial aid. After the World War ended, India emerged among the largest economies of the world. India gained independence from Britain in 1947. Apart from the support, India also had to face a large number of casualties as about 2.58 Million people from India were killed in the War.